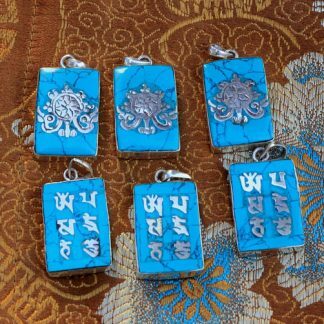 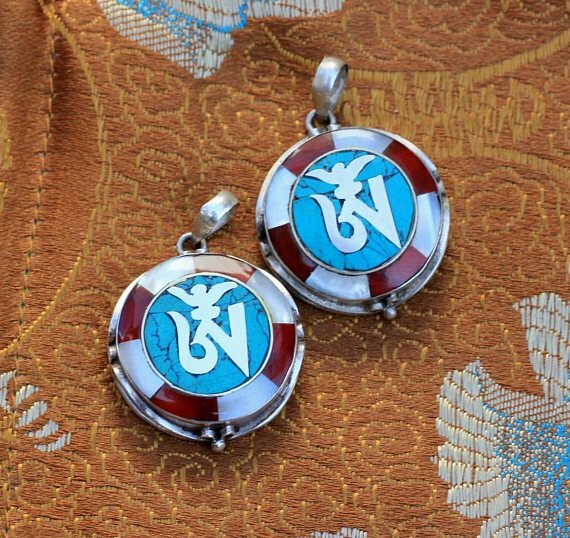 This is a lot of two Tibetan om symbol charms made of silver and semi precious stones like turquoise,coral and conch shell. 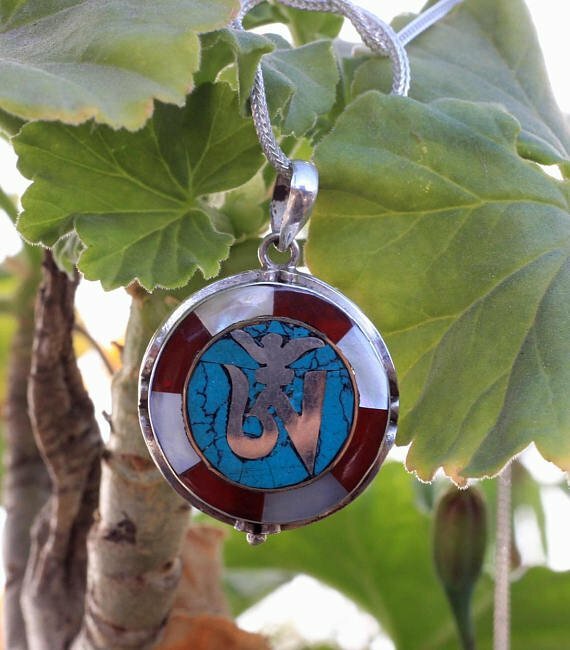 You can see the design of the pendant is very beautiful with parts of semi precious stones and Tibetan Om symbol taking the central place. 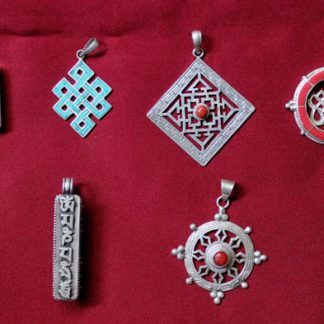 Tibetan Om symbol is very popular and trending nowadays worldwide appreciated by both western and eastern society. 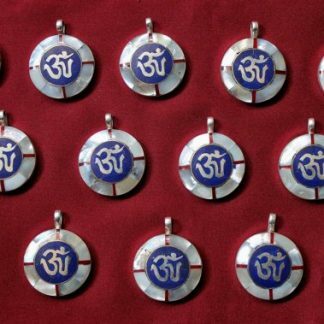 Chanting of Tibetan Om Mantra or wearing it helps you in your meditation and brings inner peace and luck in your life. 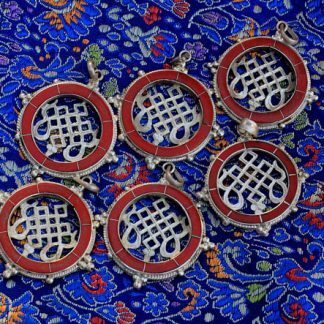 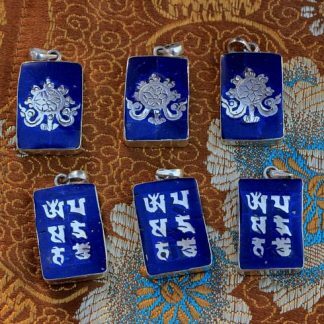 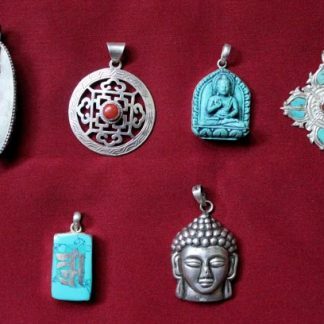 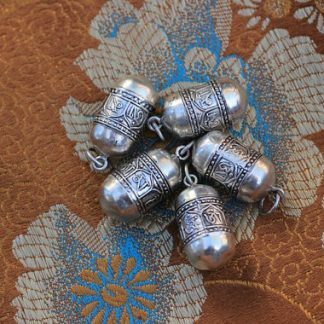 Genuine Tibetan silver jewelry consist of solid 925 silver.This means metallurgical test should indicate 92.5 % silver detail.